News of turbulence events from around the globe frequently dominates the headlines. 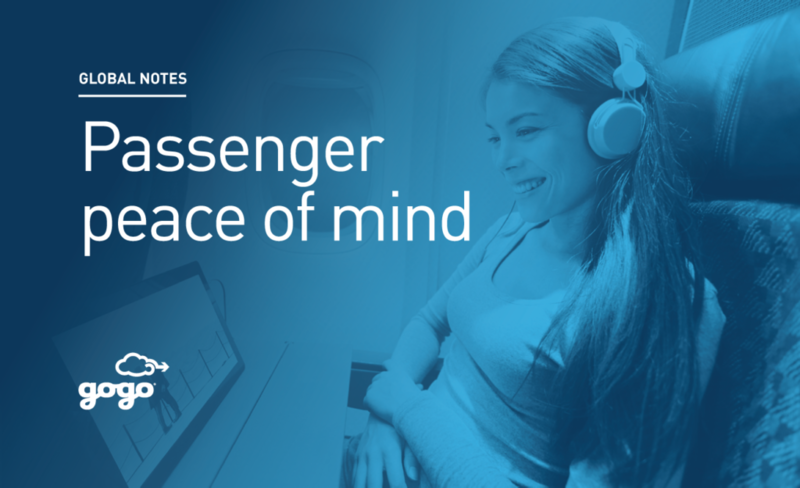 So, it was not surprising that the recent Global Traveler Research Series, an annual research study commissioned by Gogo, found that 73% of passengers are made anxious by turbulence – that’s nearly 3 out of 4 passengers whose flight experience is negatively impacted by a bumpy journey. Read more about the findings from the Global Traveler study on turbulence. Turbulence is operationally challenging for airlines. It’s often hard to predict and is historically manually reported through Pilot Reports (PIREPS). PIREPS aren’t the most reliable as they can be sporadic, subjective, or understated. Turbulence can also be very costly for airlines. According to National Center for Atmospheric Research, turbulence can cost airlines over $150-500 million/year from injury, operational inefficiency, and unscheduled maintenance. However, airlines can take steps to mitigate turbulence and help keep passengers at ease. Weather reports are usually 6 to 24 hours old and with the weather patterns always shifting, pilots often have outdated information inflight. By connecting pilot EFBs, pilots can get a real-time view of the weather en route. Further, automating turbulence reporting can help avoid the bumpy ride. Turbulence calculations can be automatically generated, and reports sent to the ground and to other planes faster and more accurately than the subjective PIREP. Click here to learn more about Gogo’s automated turbulence solution. The Global Traveler Research Series explores the changing behaviors and attitudes of airline passengers across the world. For additional Gogo studies, visit gogoair.com/globaltraveler.